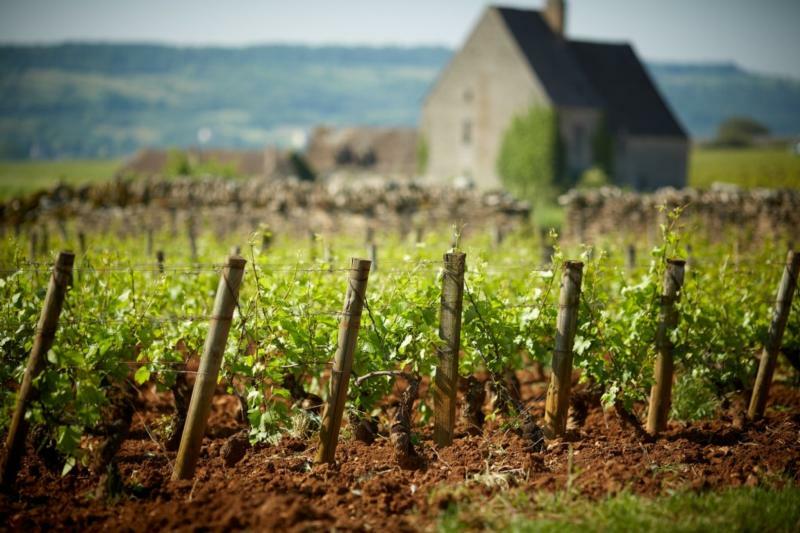 The Leflaive family has been rooted in Puligny Montrachet since 1717. In 1984 Olivier Leflaive launched his own company Olivier Leflaive Frères with the help of his uncle Vincent and his brother Patrick. He quickly established his own reputation amongst Burgundy's finest. In 1988 Franck Grux took over as a winemaker and still holds this role today. Over the two past decades he was able to establish a strong, long-term relationships with the best growers and the quality of the wines is outstanding. Olivier Leflaive Frères is known today as a small négociant (a wine buyer and seller) of high quality with a focus on the whites from the famous villages of Puligny, Chassagne and Meursault. Olivier Leflaive is continuously expanding and has acquired several vineyards that allow the Domaine to develop and build up its range of Domaines Wines alongside the négoce business. In 2010, after several long years, Olivier and Patrick finally received their family legacy in the form of some fabulous terroirs: Chevalier-Montrachet Grand Cru; Bâtard-Montrachet Grand Cru; Puligny-Montrachet 1er Cru Les Pucelles; Puligny-Montrachet 1er Cru Les Folatières; and Meursault 1er Cru Blagny Sous le Dos d'Âne. Today, Leflaive owns about 17 hectares of several parcels in these appellations and also in Puligny Montrachet, Chassagne Montrachet, Chassagne Montrachet Premier Cru Les Chaumées, Chassagne Montrachet Premier Cru Les Vergers, Chassagne Montrachet Premier Cru Abbaye de Morgeot and Chassagne Montrachet Clos St Marc. Les Cloux is a hillside select, premier Cru Chardonnay that overdelivers with balanced, crisp acidity, apple and pear, lemon zest and a finish filled with stone fruits. This Chardonnay pairs with everything from cream-based dishes, Asian cuisine, fruits and salads, meats and game. Enjoy! Wine Spectator 90"Though round in profile, this is undercut by vivid acidity, remaining well-delineated. Apple, lemon and subtle stone flavors play out from the start to the long finish. Drink now through 2024." ~B.S. "100% Chardonnay...2015 was a year when anything was possible. We went for the opposite, riper style, richer in alcohol and polyphenols. Les Setilles is sourced from vineyards within the communes of Puligny Montrachet and Meursault, with each village representing roughly half of the final blend. Decanter 96"Lush, creamy and full-bodied with linear acidity. More opulent than the Chevalier-Montrachet, but less mineral and explosive. Very long, nutty finish." ~S.B. Wine Spectator 90"A flinty note adds depth to this lemon- and green melon—flavored white, with a spicy component. This integrates well on the mouthwatering finish. Drink now through 2021. 13 cases imported." ~B.S. James Suckling 91"This is bright and delicious with sliced lemon, pineapple and minerals. Full body, crisp acidity and a clean finish. 60% barrels and made from vineyards at the foot of Puligny-Montrachet and Meursault. Drink now." ~J.S. Wine Spectator 94"Starts out rich and smooth, with peach, apple, vanilla and clove notes, turning tight and compact on the finish. A vivid acidity underpins this white, leading to a lingering aftertaste. Best from 2016 through 2025." ~B.S. Wine Spectator 91"This is enticing from the first sniff, with floral, peach, lemon and spice flavors beautifully integrated with the smooth texture. Stays bright and refreshing through the long finish. Drink now through 2018." ~B.S. Wine Spectator 90"A ripe, succulent style, with a lively structure putting its macerated black cherry, iron and earth flavors in relief. The firm, dense tannins feel like Pommard. Fine length" ~B.S. Burghound 89"A classic Meursault nose speaks of hazelnut, acacia blossom and freshly sliced lemon. There is good volume and verve to the round, supple and attractively voluminous middle weight flavors that culminate in a balanced, persistent and dry finish." ~A.M. Cellartracker 93"Rich and creamy with little oak influence...obviously, aged for a period of time with the elegance is illustrates. Apple, honey, and and minerality highlight this beautiful chardonnay finishing slightly smokey." ~F.P. Cellartracker 92"Rich and fleshy wine...the bouquet of white fruits is fantastic. As usual, light new oak influence, peaches, pears, and almond notes. A true Meursault with great acidity as well!" ~F.P.